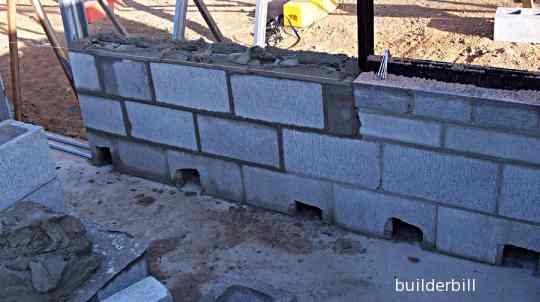 The craft of making walls, bridges, buildings and other structures out of stone, brick or modern building block systems. 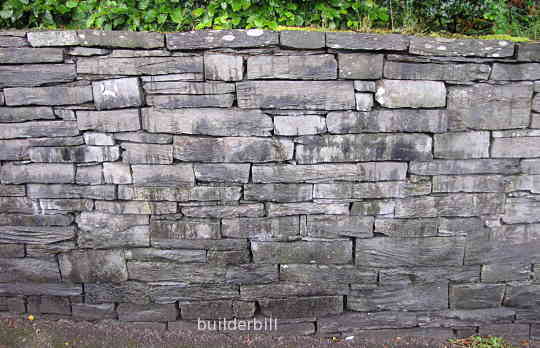 A natural stone wall built out of local stone in the English Lake District. The type of wall shown here, because of it's lack of mortar is known as a dry stone wall. The most enduring of building materials, stone in it's natural state had to be gathered in sizes that humans could handle by manpower alone. It did not take primitive man long to learn how to cut and to shape stone to suit his needs and so the art of the stone mason was born. 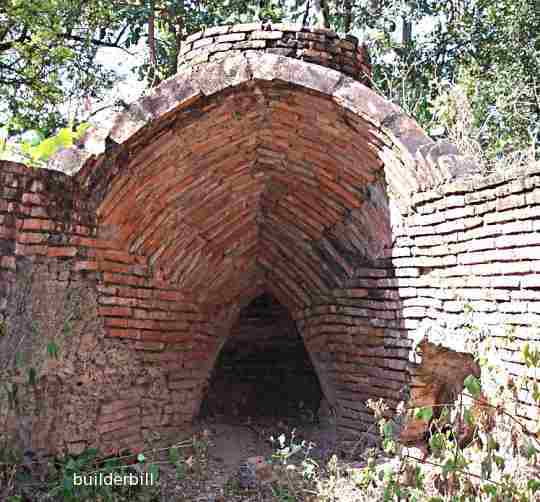 The remains of an eight hundred years old pottery kiln in Sukothai, Thailand, built out of clay bricks. In many places the lack of good building stone did not deter the builders of the day from building durable and fire resistant buildings. From early usage of sun dried mud they later learned the art of firing clay in kilns to produce what we now know as brickwork. Modern CMU concrete blockwork. A house wall being built in Darwin, Australia. Intimately tied together the development of cement, concrete and brickwork has resulted in many other masonry type building materials. Hollow concrete blocks are just one of them.